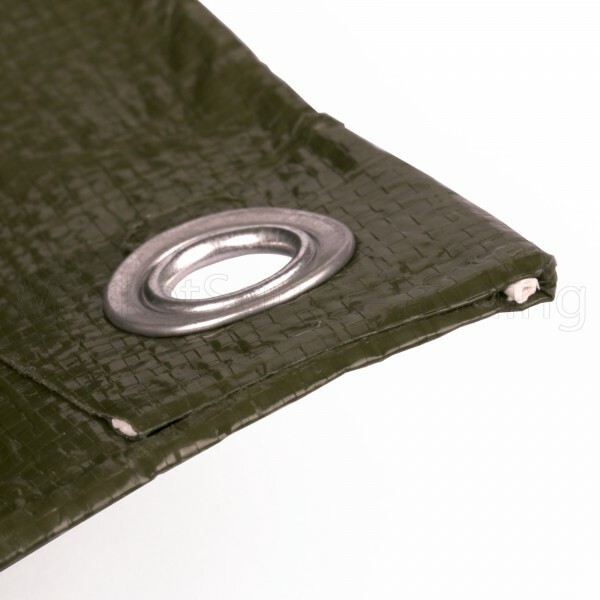 Heavy duty polyethylene woven tarpaulin in dark green. Reinforced rope inside welded hem. Rust resistant grommets on sides and corners. 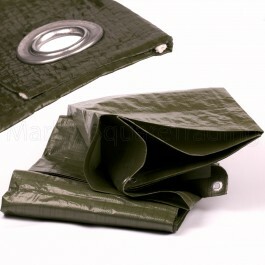 Waterproof polyethylene coating on both sides. Heat sealed seems. Full cut size. Ideal for use as a ground sheet, picnic mat, wind protector, garden furniture cover, vehicle cover etc. Size 6ft by 4ft. More than twice the thickness of budget sheets which are usually 50gpsm. 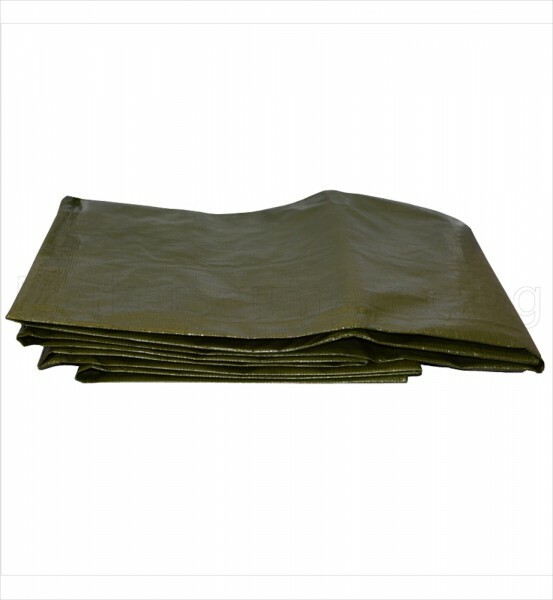 Ideal for use as a ground sheet, picnic mat, wind protector, garden furniture cover, vehicle cover etc.